Everyone has favourite things. Favourite film, favourite holiday destination, favourite Beatles’ record, favourite child. Actually, scrap that last one. 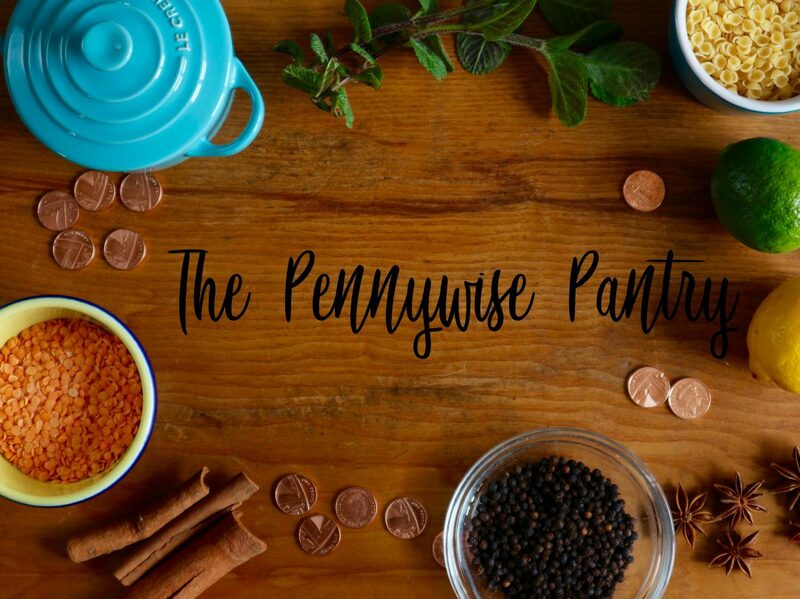 Well I’m going to go as far as say the list you’re about to read doesn’t just contain my favourite thrifty ingredients, it includes the five thrifty ingredients I couldn’t live without. Ok, so perhaps I’m being a tad melodramatic (usual state of affairs if you ask my husband). After all, we’re living in the era of Brexit and Trump. I suppose there are far more terrifying things happening in the world than a shortage of my foodie must-haves . Let me rephrase that then: this is a list of low-cost ingredients that I couldn’t cook well without. What each item below has in common is that they are super affordable, but incredibly effective at elevating ‘every day’ food to something a little more tasty. They also have versatility in their arsenal; you can use most of them for a variety of dishes, both sweet and savoury (well, perhaps not the anchovy; even I wouldn’t care for fish flavoured dessert). You will always find these ingredients in my kitchen, and I use most of them on almost a daily basis in some capacity. Zest them, juice them, pare them, preserve them; the humble lemon can be used in so many deliciously different ways. They can be the star of the show in a curd or a cake, or can be made extra pretty and special by being candied or crystallised. What I’m talking about is the more every day usage, however. A quick squeeze of lemon provides piquancy to gravies, acidity to ragout and can help stabilise meringues in place of vinegar. I use a simple dressing of lemon and rapeseed oil for salads, and if I’m feeling super virtuous, just the lemon juice itself. The zest I often use to finish off a simple creamy pasta dish, (give a quick dusting with a microphone grater) and every chicken I’ve ever roasted has had a whole lemon stuck up its behind. Lemons truly are your best culinary friend; I haven’t really begun to mention the numerous ways I make use of their freshness and vibrancy in all their fullness, but for me, this versatile citrus fruit is an absolute pennywise must-have. Ok, I’ve mentioned before that I’m a self confessed chocoholic (it scares me how much we get through each week), but dark chocolate really is another multi talented star in your shopping basket. As much as I love the melting comfort of creamy milk chocolate, dark chocolate is much more of a useful ingredient in the general kitchen sense. Although this is probably the least economic ingredients on my list (though you can pick up some great supermarket own 70% cocoa solids), you only need a couple of squares in a stew or chilli to add subtle depth and a silky finish (also adds a great shine), and a few chunks in brownies or cookies to spruce them up. A super easy sauce for ice cream simply involves pouring boiling water over good quality chocolate-that’s it. And drizzling a little melted chocolate over flapjack or a tray-bake immediately makes a home bake more luxurious. Now I love super-frugal dried herbs (my cupboard is bursting with them) but fresh herbs add an aromatic vibrancy to almost any dish. Of course you can make herb based sauces such as pesto, salsa verde or chimmichurri, but more sparingly, a few picked leaves can really elevate salads or stews. When entertaining, a few scattered soft herbs (basil, coriander, parsley etc.) over a meal make the finished dish more special, and woody herbs such as thyme or rosemary are fab to use when roasting meat or fish.You can pick up little pots at your supermarket for about 60p, and, if you are careful (treat most of them in the same way you would a pot plant), they can last for ages. I’m not green fingered in ANY way but have even managed to cultivate a little herb garden outside . And if I can do it,anybody can. These little fishies are so much more than pizza toppings (although I do love anchovy on pizza). They can be used to add salty depth in salsa verde, perk up roast lamb (mash with garlic and insert into slits in the uncooked leg/shoulder) or create an umami meatiness in stews. My current favourite way to enjoy the teeny critters is pounded with garlic, chilli and butter,then melted through some just-steamed cabbage or broccoli. Even if you’re not a fish fan, I guarantee that used sparingly, anchovies provide a ‘je ne sais crois’ that can be just the thing to make a recipe pop. Last but certainly not least, honey lends a slightly herbal sweetness to a variety of dishes. Of course it can be used to replace sugar in many cases and bakes, but my favourite way to use the gloopy good stuff is in a glaze. Use on meat, fish, vegetables (particularly Mediterranean types or roots) when roasting, along with a good glug of olive oil. It’ll give a sweet sheen to your roasts, and lend a helping hand to any caramelisation. Who doesn’t love a good honey based salad dressing? (think honey and mustard). Marinades are always helped out with a squeeze of honey (barbecue style sauces in particular), and the sweetness helps offset the savoury edge of soy in Asian style recipes. The beauty of honey is that the different types are all so varied; the flavour, colour and sweetness of honey depend on which type of flower the nectar was collected from. Honey really is a stellar addition to your pantry in all its natural goodness. So there you go; the five ingredients I just couldn’t live without. Let’s hope the world (or at least, Asda) doesn’t run out of lemons now. Hahaha 🙂 ..honestly, once you start using them, you’ll wonder how you ever lived without them! Yep, I love Rosemary too (a good thing as I have it growing like a weed in my garden! ).